Siding Replacement and Repair Raleigh-Durham | NC ReBuild, Inc. Your siding is one of the first things people see when they walk past your house or are about to come inside of it. You always want this component to look the best it can. That’s why NC Rebuild, Inc. offers affordable painting and siding services to keep your home or business looking like new. 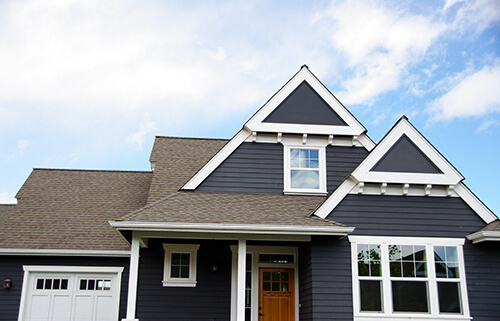 We are a siding and painting contractor in Raleigh, NC, and we have been in business for over 20 years. You can trust our experts to give your project the careful attention it deserves. James Hardie® fiber cement siding has been ranked as the #1 return on investment by Remodeling magazine – seven years in a row. No project, including updating a kitchen or bathroom, returns more money to your pocket at the time of sale than James Hardie siding. If your home or business has been affected by one of our recent storms, the premier storm damage repair experts at NC Rebuild, Inc. will take care of you.We will come to your home and inspect the damage. We’ll then provide you with a free, no-obligation estimate that lays out both the repair costs and our recommended solutions. We offer a 10% summer discount, so contact us to learn more about this deal. Schedule your free estimate today by calling us at (919) 625-5453.